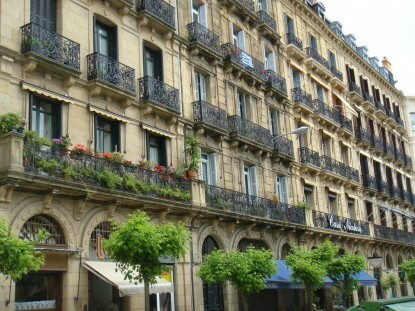 San Sebastian otherwise known as Donostia (in the Basque language) is referred to in Spanish as “La Perla del Oceano”. The city came to prominence in 1845 when Isabell II chose it as her convalescent home and a custom of the spending summers there with her entourage was established. In 1863 Isabell II, as the only known planning authority of the time (!) 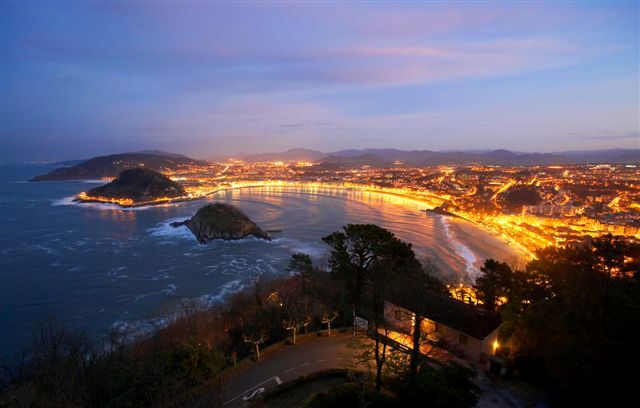 agreed to knock down the ancient walls which confined the Old Quarter allowing the city to expand and occupy the dried-out marshlands on which it stands today but the old city itself, unconfined by walls, remains an integral part of Donostia. 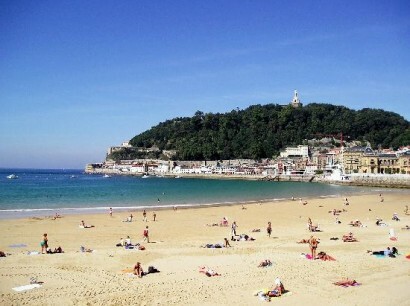 The beach is formed in the crescent of the bay and it is great to enjoy a stroll along the promenade, people-watching and enjoying the views, before taking the footpaths at the base of Mount Urgill and crossing the headland to the port area with its quaint. 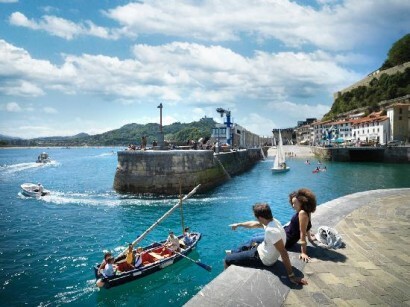 traditional fisherman’s houses. 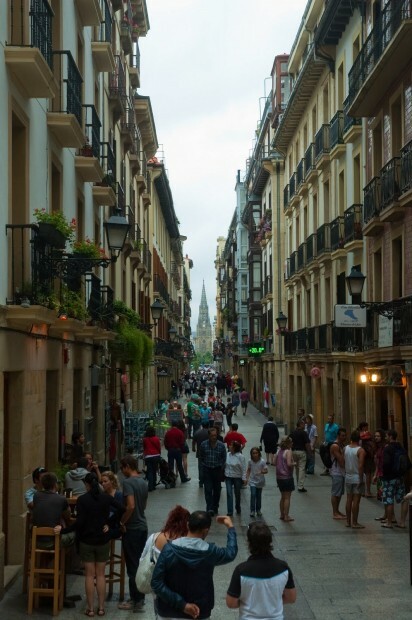 The Old Quarter which is at the heart of San Sebastian leads off from the port area – it is a pedestrian only zone with many shops, bars and restaurants and with the newly remodelled Constitution Square at its centre. 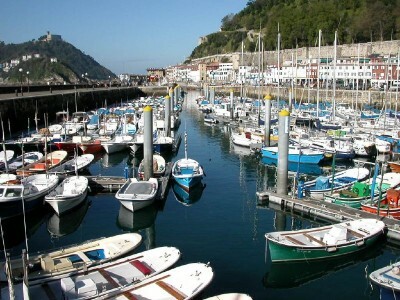 It is the ideal place to see the Bretxa fish and vegetable markets and to taste typical Basque dishes and Donostia specialities as well as savour the smell of freshly caught sardines being grilled outdoors.